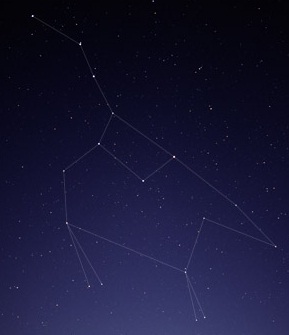 The Roman astronomer Ptolemy identified 48 constellations in the Almagest around 150 AD. Today, there are 88 on the official list of the International Astronomical Union. Since the days of ancient civilizations (think Homer, the pyramids, etc. 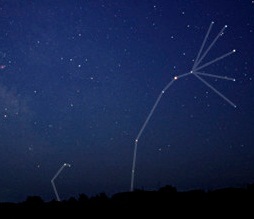 ), people have been watching the stars and telling stories about them. As a result, there are many varying and contradictory myths for different clusters of stars. As you stargaze tonight, take a trip back through history and mythology. 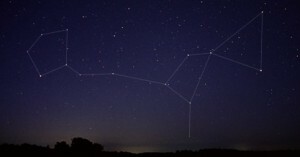 Here are some of the most-recognized constellations and the popular Greek and Roman legends behind them. 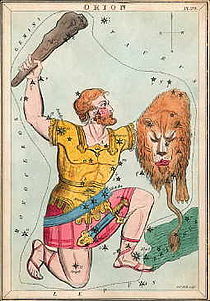 In Greek antiquity, Orion was a strong hunter, the son of Poseidon, who claimed he could hunt any animal. 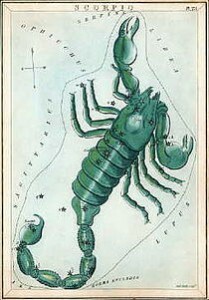 A jealous Artemis, the goddess of the hunt, sent a scorpion after Orion. After a vicious battle, Orion was stung by the scorpion, and Zeus immortalized them both in the night sky. Orion can be seen hunting in the winter, but is chased away when Scorpius emerges in the summer sky—the two constellations never appear in the sky together. 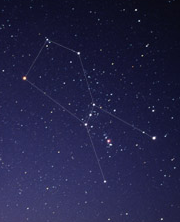 Orion is one of the most famous constellations, and an easy one to identify with the naked eye. The hunter stands with his bow and arrow drawn. A row of three stars form Orion’s belt in the center of the constellation, from which hangs his sword, where one can begin to make out the Orion nebula, or star nursery. Orion’s right shoulder and left foot are the stars Betelgeuse and Rigel, respectively, two of the brightest stars in the night sky. Both of these stars are supergiants nearing the end of their lives. When it dies, Betelgeuse will explode in a supernova. On the opposite side of the sky, the tail and claws of Orion’s nemesis, the scorpion, is visible. Scorpius, or Scorpio, is one of the twelve constellations of the zodiac, the path through which the planets pass in Earth’s annual orbit. Adapted from Babylonian astrology over 4000 years ago, the zodiac is a celestial coordinate system that has been used since ancient times to predict events on Earth. Your astrological sign is one of the twelve zodiac constellations the Sun was passing directly through on the day you were born. To the Greeks, Ursa Major was the nymph Callisto, transformed into a bear by a jealous Hera whose husband, Zeus, coveted the nymph. When Callisto encountered her own son, Arcas, as a bear, he attempted to shoot her. To save Callisto, Zeus turned Arcas into a bear and placed them in the sky together, as the Great Bear and her son the Little Bear. The most widely recognized portion of Ursa Major is the bear’s tail and hindquarters, which is often identified as the Big Dipper. 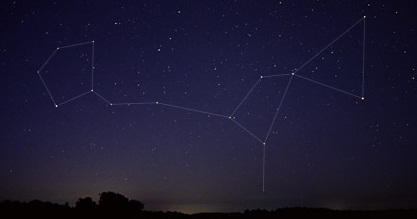 Ursa Minor is also commonly known as the Little Dipper. 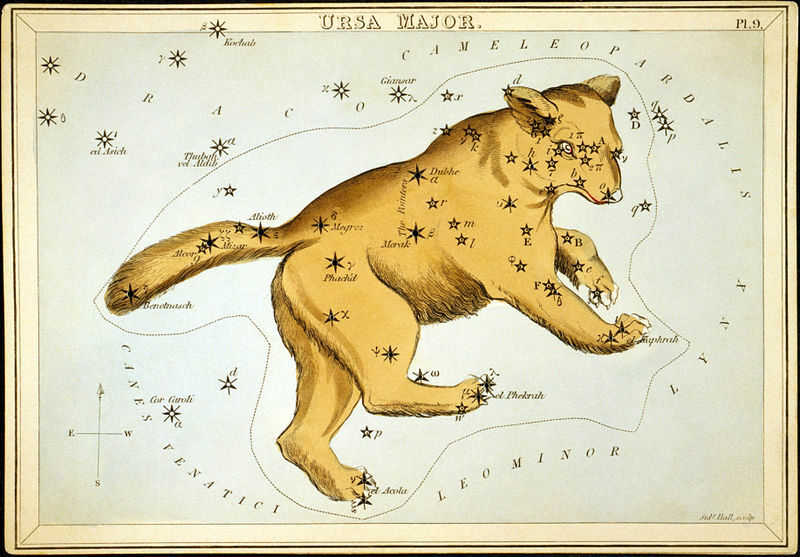 Ursa Minor is located at the celestial north pole—the star at the very end of the tail is Polaris, or the North Star. Because Polaris is a fixed point in the sky around which the rest of the constellations rotate, Ursa Major and Ursa Minor are visible for most of the year. 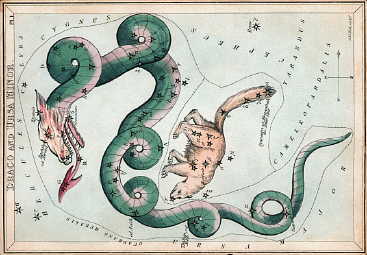 Draco (the twisted dragon that sits beside the Little Bear in the image above) was Tiamat the monster of chaos, who upon his defeat by the gods of light was flung into the sky and frozen at the celestial north pole before he had a chance to untangle his body. In the tales of Ovid, the lyre belongs to the musician Orpheus, who famously used his lyre to convince Hades to all him passage to underworld to retrieve his wife. After Orpheus’ death, his head and his harp were thrown into the river where he continued to produce beautiful songs until the Muses were sent to fetch his lyre and place it in the stars. 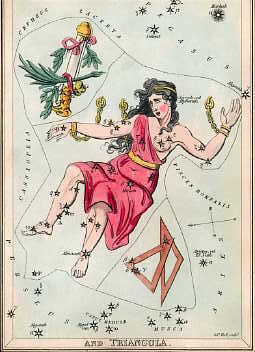 Lyra contains the star Vega, one of the brightest stars in the sky and a point on the “Summer Triangle,” which connects three bright stars in the constellations of Lyra and the neighboring Aquila (the Eagle) and Cygnus (the Swan). Lyra can be seen almost directly overhead in the summer sky. Part of the ancient Perseus myth, Andromeda was the beautiful daughter of Cassiopeia, the Ethiopian queen. 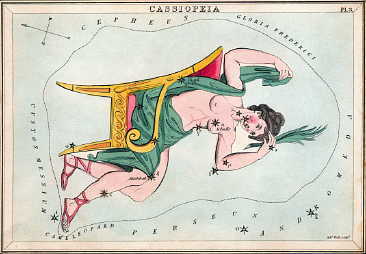 When Cassiopeia boasted of her daughter’s beauty, Poseidon was offended and sent a sea monster to kill Andromeda. At the advice of the Oracle, Andromeda’s father attempted to save his city by sacrificing his daughter, and tethered Andromeda to a rock at sea (hence her name in English, “the Chained Lady”). She was saved by Perseus, who killed the monster. Andromeda became Perseus’ wife and after her death was immortalized in the sky by Athena. The sea monster sent to kill her, Cetus, rests nearby, along with Cassiopeia, who rotates on her throne around the North Pole as punishment for her pride. Andromeda’s husband Perseus is also close by as a reminder of the great love between them. Andromeda is one of the largest constellations in the sky, and home to the nearest galaxy to our Milky Way. The Andromeda Galaxy is a bright spiral galaxy approximately 2.5 million lightyears from Earth that can partially be seen with the naked eye. Cetus is located in “The Sea” amidst a number of other water creatures including Pisces and Aquarius. 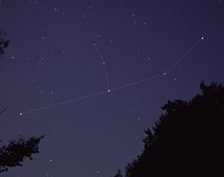 Cassiopeia is easily recognized for its distinctive W shape directly opposite Polaris from Ursa Major. There are over 60 other constellations—to learn the myths they inspired and the legends other cultures have told about the stars, you can check out A Walk through the Heavens: A Guide to Stars and Constellations and their Legends.